Spring is here. We can tell because of the Spring showers and the (late-budding) May flowers. It has been beautiful in our city of New York, and Tim and I can't wait to enjoy more of the sunshine! What's great is that amidst all the chaos of city life, couples can still be so in love, and you can feel it. With that, I'd like to introduce a great couple we had the honor of photographing--Via and Benny. When Via and Benny met with us for their initial consultation, they ventured out from the Upper West Side to our favorite little cafe Espresso 77, in the heart of our little corner in Jackson Heights. 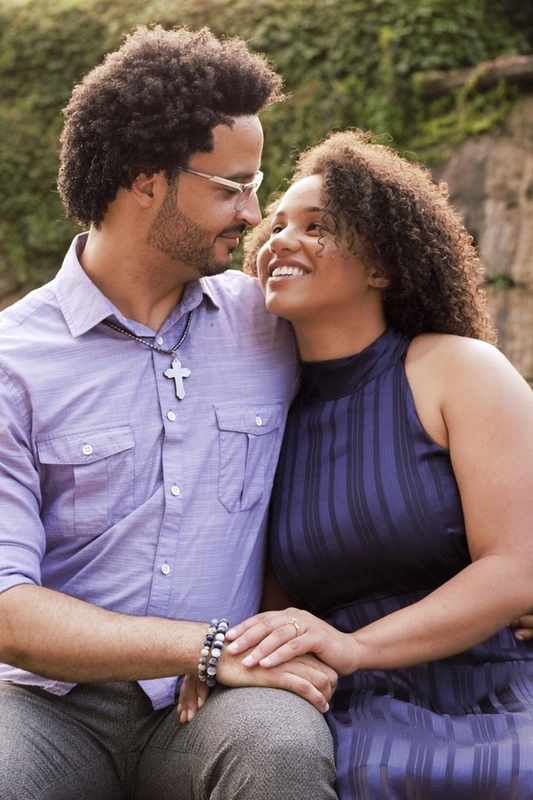 We walked them through what to expect and what ideas to consider for their session, including location and style tips, and as we got to know them, one thing became clear: how much they loved each other. Similar to Timothy and I, they have a strong foundation in friendship. A strong friendship is how you can build, together, for a love that lasts. Now, after four years of being together--even through the adventures and craziness of New York as law students--they look forward to their next chapter in life. How exciting! Tim and I can't wait to soon embark on that similar path. 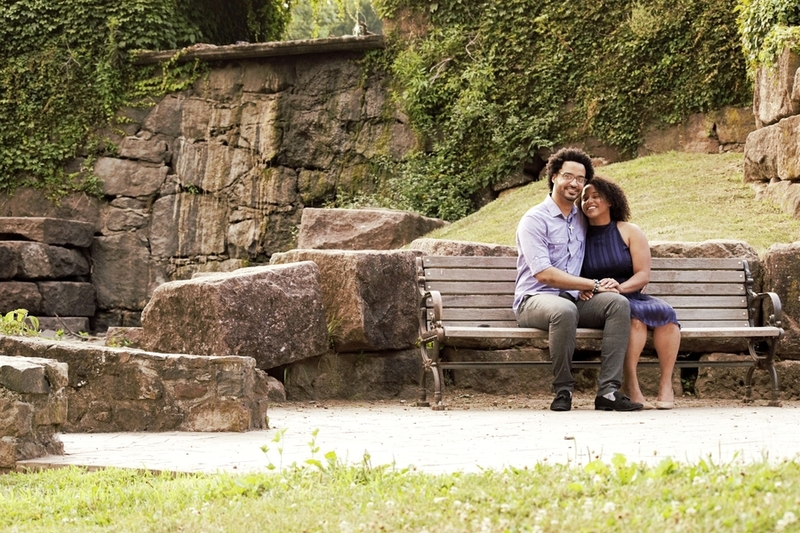 We started out by some lovely cherry blossoms in Central Park, by the Literary Walk ("The Mall")--a perfect city location for engagement photography. Now, Via and Benny made it clear they didn't want anything over-posed, and wanted a more natural feel. To just be themselves--with some laughs along the way. We felt right at home because that is exactly what #scenescerity is all about. We began with portraits and then, I asked them to take a romantic stroll. Even though the crowds persisted, you can see, and we could feel, this beautiful connection between them--a connection that seems to say, "even with a million people around, I only see you." "YOU ARE THE ONLY ONE FOR ME"
And believe us, we wish we could have parted the seas of people for Via and Benny, to have had just them and the wide open park--but our photography is not about perfection. It is about sincerity. Relationships aren't easy and even our parents can attest they are not (Tim's parents have been married a little over 35 years and mine have been married for 23 years, so they've got lessons to spare). We are also learning the pieces to answer this question: how do you make a relationship last? We are learning that what makes a true relationship is definitely friendship, forgiveness, and, in our honest opinion, faith. Faith in the Future together. And, so we continued on during the session, enjoying the city in all its chaos--a perfect backdrop as a metaphor for Love--in all its splendor. Isn't what makes New York so beautiful and incredible, isn't part of the city's charm, in it's perfect chaos. The hustle, bustle; the dreams, the sheen and the grime. The ups the downs. And it still stands tall. Strong. That's like Love. We made our way through the park, to beautiful townhouses (as Via changed from her gorgeous heels to walking flats--so smart!! I have to remember to do that more often), and for the final images, we even captured some sweet moments with rows of tulips--a much welcome surprise for us all. Congratulations Via and Benny! Tim and I learned from you and your love and we are so grateful for the two of you deciding to say "Yes" to a life together. May you relive the joy of this day, when you see your images, now and in the future. May it bring you tender memories, when you're both well on your journey of life together.